My daughter lit up when she got on google this morning and noticed their fabulous, interactive logo. It was a delight of blooming trees, moving moons, jumping fish, swirls and scenery. It was playful and full of wonder…just like our planet…WONDERFUL! 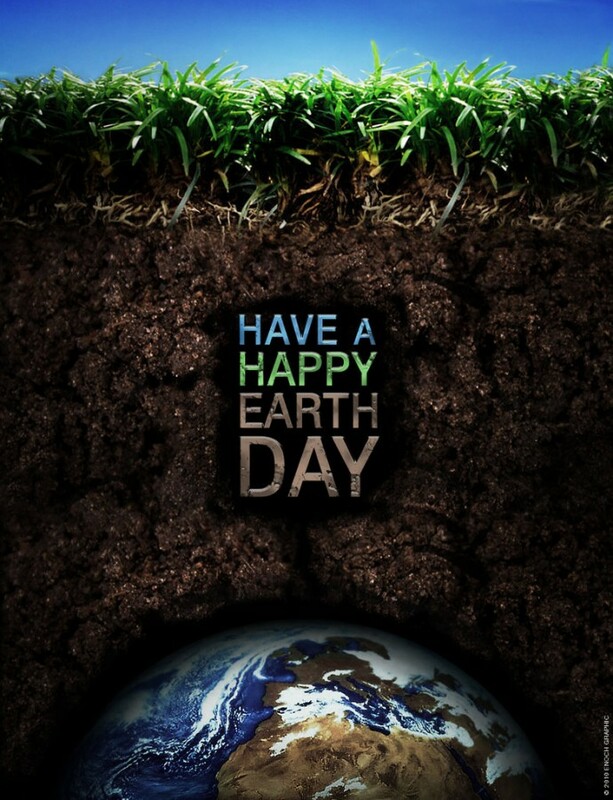 I sang…because it’s Earth Day!! So today I am sharing tips, tricks and fun things to make your day even better, help the planet and make a small difference…wherever you are! 1. Little things do make a difference: turn the water off while you brush your teeth, fix leaky faucets or running toilets, put cans and bottles in the recycle bins, clean your air filters to help with efficiency, turn down your thermostat when you go to bed, turn off your lights when you are not using them and unplug appliances, washing laundry on cold not hot settings, take shorter showers, even driving within the speed limit cuts down on gas consumption, which helps the planet. 2. Clean out your closet—I am sure you have something to donate. There are plenty of people who could reuse your items and be grateful for them. 5. Sign up for paperless bills by paying them via the internet. 6. Ride your bike when you can, instead of driving your car. 7. Spring clean your community. I am sure wherever you are there is some trash to pick up. Grab a bag, some friends or family and make it fun!! Turn it into a race to see who can get the most amount in a certain time. 8. If the weather is nice open a window or door and let the fresh air in & turn off your air-conditioning. This will help conserve energy & bring in a little breeze. 9. Get outside and go on a walk, a hike, a bike ride & turn off your television, computers, games. 12. Go to earthday.org and pledge an act of green or just check out some of the things they have going on. Get informed. Check out the beautiful nature artist Andy Goldsworthy: Go to Google Images and type in Andy Goldsworthy—amazing. He also has numerous books. Inspiring Natural pieces he creates. Have a beautiful day. Get outside, enjoy this beautiful world we live in and do something positive to make a small change in your family, your community, your world! Peace to you.